At just 17 years old, Mohammad Qasem has been seperated from his parents for over two years. His family stayed behind in Syria when the young refugee fled to Germany. He's hoping to reunite with his family soon, but Germany's asylum policy does not make this easy. He tries to stay upbeat in spite of these obstacles and hopes to one day become a doctor. When Mohammad Qasem's parents sent their young son to Europe with an uncle two years ago, they were expecting to meet up again a short time later. 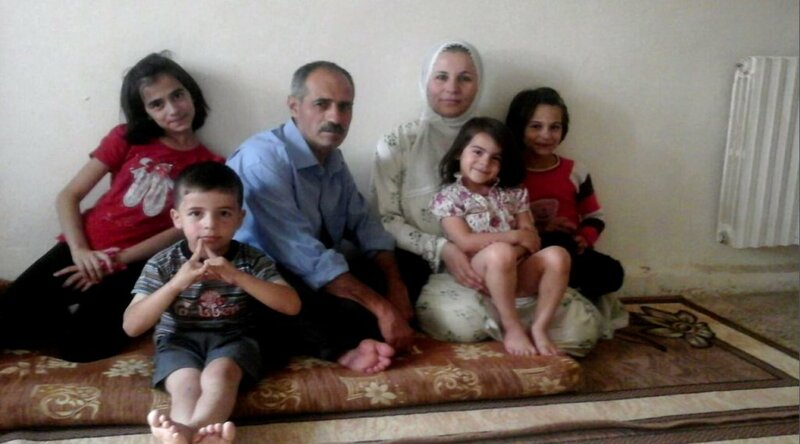 But two years have passed, and Mohammad's family still hasn't been reunited. Behind apart from his loved ones for so long has been painful for the 17-year-old, especially because his twin brother, Aziz, is still in Syria. 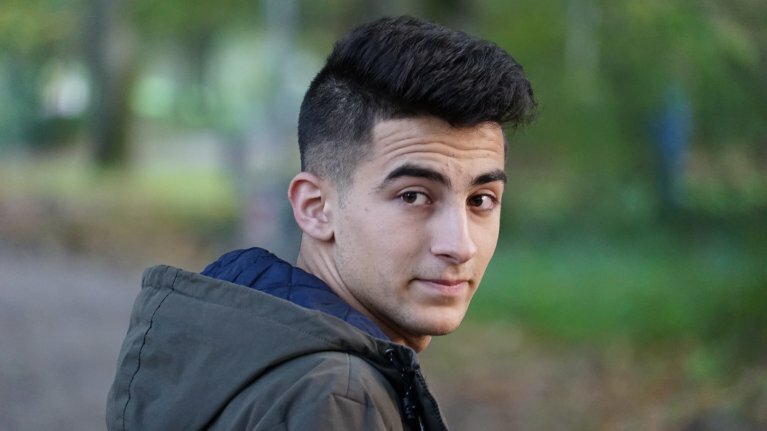 Mohammad was just sixteen years old when he came to Germany - he and his uncle following the Balkan route along with a million other refugees. The uncle made it to Denmark, but Mohammad remained alone in Germany in the refugee camps in Düsseldorf and Ratingen. Two months later, his aunt arrived. Today, Mohammad lives a one-room apartment in the small German city of Bremen, together with his aunt. She bought him a saz, a stringed instrument like the Middle-Eastern oud. Playing the saz helps him when he is feeling depressed or sad. Generally cheerful and ambitious, but at times also melancholy, Mohammad seems older than his years. Mohammad is happy and optimistic when he talks about his career ambitions: "I want to become a doctor, not just to help people's pain, but to treat it," he told InfoMigrants. But while he says that he is happy in Germany, he worries about his family - his mother, his father and his six siblings - who live in a town in Northeastern Syria. "I want to be close to them, and sometimes I feel guilty because I have not been able to reunite them here yet." When he arrived in Germany, Mohammad was granted subsidiary protection. In March 2016, the German government froze family reunifications for people who were granted subsidiary protection for two years. That freeze was lifted in August 2018, but only 1,000 family members of people this asylum status will be allowed into the country per month. Mohammad tries to keep up with the news and stay informed about family reunion policies. He contacts his family every day via WhatsApp. "Germany is about to become my homeland, but I need my family here so I can say that Germany is my homeland. What is homeland without my family?" Mohammad says. Mohammad spends most of his time reading and doing homework. He reads stories in German and although he speaks German well, he admits that it is not an easy language for him. “One of the difficulties I faced in Germany was German, and the accusative and dative cases are the cause of suffering for every refugee here,” he says. 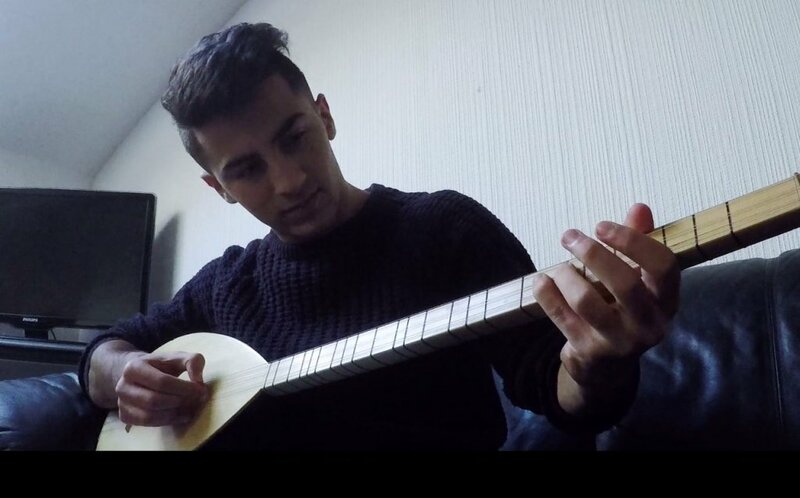 As well as reading, and playing the saz, Mohammad occasionally plays a game of soccer with some other refugees who live nearby: "Most of my friends are Syrians and Iraqis, Russians and Koreans. We play soccer together and we sometimes go to the swimming pool." Mohammad is grateful above all for his aunt, who acts as a mother to him while he is separated from the rest of his family. "I am trying to fill the void left by his family and offer him what a mother has to offer to her children," Shaha Qasem says. "Mohammad is an example of a persevering and ambitious person who cares about learning science to achieve what he wants, despite the difficulties of being away from his family as a minor." Editor's note: InfoMigrants met with Mohammad in December 2017.